Since 1939, Boggi Milano, a men's clothing brand, has been designing and creating contemporary menswear with painstaking attention to all aspects, from production to distribution, becoming a purveyor and ambassador of its unique style and quality throughout the world. The Brand stands for Italian excellence, designed for the contemporary, modern and cosmopolitan businessman. Boggi Milano's collections express the creativity and experience of its designers: a perfect blend of style and fabric quality that offers customers a product boasting excellent value for money. 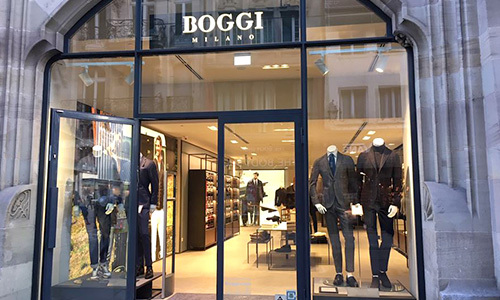 By stepping into a Boggi store, you become part of a special world, where style meets professionalism, with a guarantee of personalised and comprehensive advice. from 9:30 a.m. to 7 p.m.